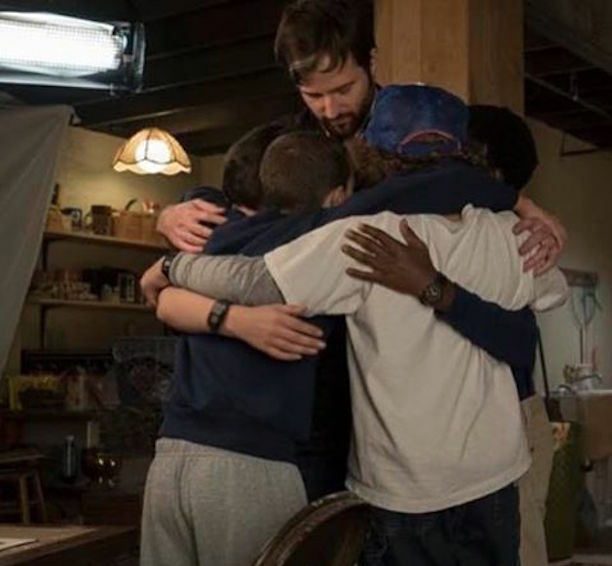 Stranger Things Season 1 Set foto's. . Wallpaper and background images in the Stranger Things club tagged: photo stranger things season 1 set behind the scenes eleven dustin lucas mike. This Stranger Things photo might contain woonkamer, zitkamer, voorkamer, salon, massagesalon, teken, poster, tekst, bord, and schoolbord.